Spec built Uniball Control Arms for the Ford Raptor are designed to replace the weak stock ball joint arms eliminating the potential failure from aggressive offroad use. These high end Arms feature giant 1.50" ID FK American Uniballs and 17-4 heat treated stainless steel pins for superior strength. The 1.50" OD .120" wall 4130 Chromoly arms attach to the frame with 3/4" ID FK American Heims for a wide range of align ability while providing a more solid road feel of the vehicle. 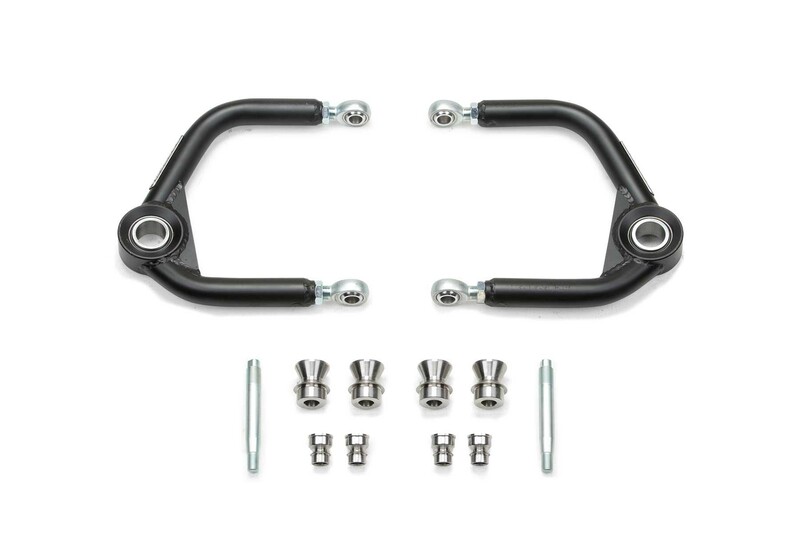 These Uniball Upper Control Arms are the finest quality and construction for Raptor owners that demand the best.